Summer Search aims to rise teens above systemic barriers that may naturally prevent them from developing their full potential as students. Edwin Galvez and Richard Melgar are pictured on a backpacking expedition in Wyoming in 2014. To some high school students, the sweltering summer months may be the perfect time to lose themselves in video games or binge-watch television shows. Not to 17-year-old Cedric Cumba. This summer, after his sophomore year at Chelsea High School, he explored the Minnesota wilderness, hiking and canoeing in the expanse of the Superior National Forest. Summer Search Boston, a nonprofit enrichment program that provides mentoring and scholarships, helped prepare him for the trip and cover the cost. The three-week experience was grueling, both physically and emotionally. But Cedric said he pushed through the limits, learning how to adjust to uncomfortable environments in the process. Cumba is one of 400 high school students in Greater Boston who benefited from Summer Search this year. The organization, which started in San Francisco and celebrated its 20th year in Massachusetts, aims to help teens overcome barriers that otherwise might prevent them from developing their full potential as students. Summer Search spends about $6,500 per year on each student, funded by donations from corporate partners, foundations, and individuals, according to executive director Liz Marino. It employs 13 full-time mentors who keep tabs on the students weekly during the school year. The students also go on two summer trips. 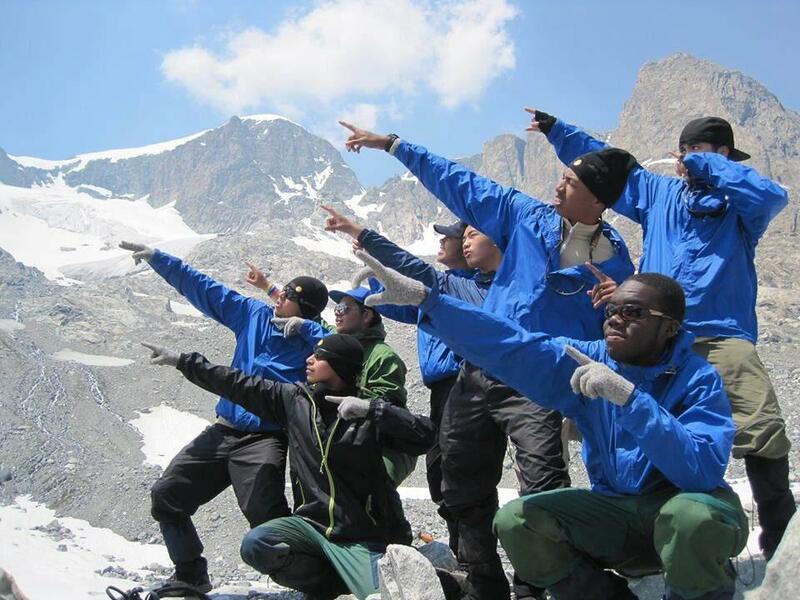 The first is a wilderness excursion, where rising juniors join larger groups through organization partners such as Outward Bound and National Outdoor Leadership School. The second is a service or academic trip that can take students outside the country before their senior year. Summer Search sees its combination of leadership trips and consistent mentoring as a recipe for success, increasing a student’s likelihood to graduate. About 98 percent of the students in Summer Search graduate from high school and 71 percent earn their bachelor’s degree within six years, Marino said. The organization aims to select students from low-income families, partnering with more than 30 high schools in Boston, Chelsea, and Malden. Around 95 percent are people of color; 93 percent qualify for free lunch; and 91 percent are the first in their family to go to college. The students are aspiring thespians, devoted basketball players, future engineers. They say Summer Search helps them gain confidence and discover the reaches of their potential. Stewart Amas was a sophomore at Boston Latin School when he was accepted into Summer Search and paired with mentor Casey Pettit Babcock. He had a 1.7 grade-point average and was relying on his skills on the basketball court to get into college. Over three years, Amas and Babcock developed a relationship where he could go to her and talk about his week. Babcock would listen — not giving solutions to his problems but helping him come to realizations about himself. Babcock was able to see Amas grow. Amas graduated from Boston Latin in June with a 3.44 combined grade-point average. He is attending Bentley University in Waltham and hopes to continue playing basketball. Summer Search can support him through college with counseling and internship connections. It all starts with that outdoor excursion after sophomore year. Students canoe and rock-climb near the Canadian border in Maine, or make their way across the mountains of North Carolina using just a map and a compass. Etsub Legesse, 17, backpacked across the woods of central Wyoming. Summer Search has helped Legesse define his own version of success, he said, one that goes beyond academics and aims for grander self-fulfillment. Miguel Otárola can be reached at miguel.otarola@globe.com. Follow him on Twitter @motarola123.